Remington Golden Saber Black Belt 9mm Ammo: "trusted by law enforcement professionals for over 20 years"
The revolutionary Remington Golden Saber Black Belt has built upon the durability and reliability of its predecessor, the Remington Golden Saber, and has become the next generation of performance-duty rounds. By blending new, inventive features, such as an hourglass shape and a mechanical-locking feature that ensures the jacket and core do not separate, the Golden Saber Black Belt has taken innovation and efficiency to the next level. Remington Golden Saber Black Belt rounds are sectioned into 50 rounds per box, with 500 per case, and each case costs $260. Each 9mm, Belt-Bonded Jacketed Hollow Point round has a velocity of 1,180 feet per second and a grain of 124. Shop all Remington Ammo at GideonTactical.com. 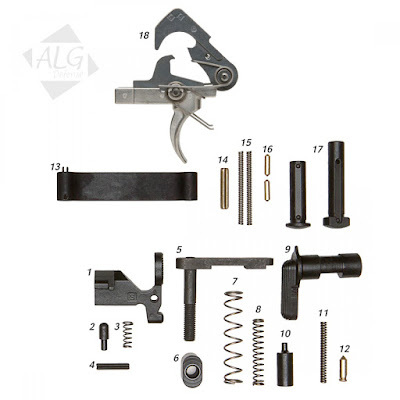 Did you know that you can now purchase all your ALG Defense products at GideonTactical? ALG Defense is a woman-owned company founded by Amy Lynn Geissele in 2012 and is the sister company of Geissele Automatics. From supplying the everyday target shooter to providing equipment to various branches of the special forces, ALG Defense is committed to providing their users with a superior experience. With a similar pull to a standard mil-spec trigger, the QMS Trigger is geared toward shooters who hold tradition, value, and regulatory concerns in high regard. The trigger lacks the grittiness associated with the stock trigger pull, allowing it to have a much smoother pull instead. At the same time, it retains the trusted reliability the stock trigger is known for, while maintaining a pull weight not lower than the M4/M16 minimum weight specification of 5.5 pounds. 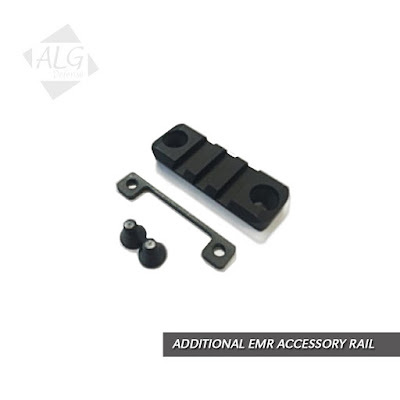 These accessory rails are priced per accessory rail and include all mounting hardware. Please note: The accessory rail is not designed to be mounted at the 12 o’clock position of the rail, as it is not designed to co-witness with the top of an M4 flattop. Check out the rest of the excellent ALG Defense products at GideonTactical.com. Are you familiar with Geissele’s triggers? Continue reading for more information. 1.) Geissele: Super Dynamic-Combat (SD-C) Trigger: This rugged, nonadjustable combat trigger with a sear design features a flat-trigger bow and provides a wide margin of safety against unintentional discharges without sacrificing a sharp, repeatable trigger release. Designed for the AR15 and AR10 for use by U.S. Special Operations community, the SD-C is a semi-automatic-only version of the select-fire trigger. Its first-and second-stage weights are 2.5 pounds and 2 pounds, respectively, and its pin size is Mil-Spec. Additionally, the SD-C is ideally suited for use in harsh, demanding environments, including Close Quarters Battle (CQB) and Squad-Designated Marksman (SDM) applications. 2.) 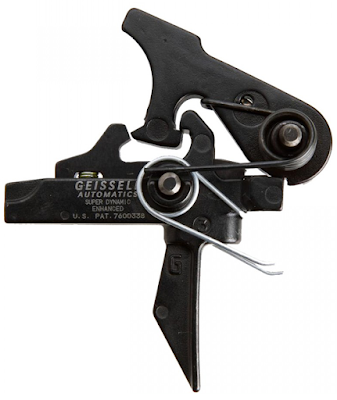 The Geissele Super Dynamic-Enhanced (SD-E) Trigger’s flat-trigger bow is patterned after the trigger of an M1911 pistol and reduces the perceived pull weight of the triggers and gives outstanding tactile feedback and trigger control. The SD-E features enhanced weapon accuracy that solidifies its status as a reliable, combat-proven, two-stage trigger. The SD-E’s reduced first- and second-stage pull weights result in a trigger with a smooth, light, first-stage take-up and a crisp, candy cane-like second-stage break. The trigger is ideal for use in precision, SDM-type rifles where weapon accuracy and reliability are critical and a non-adjustable drop in trigger is desired. 3.) 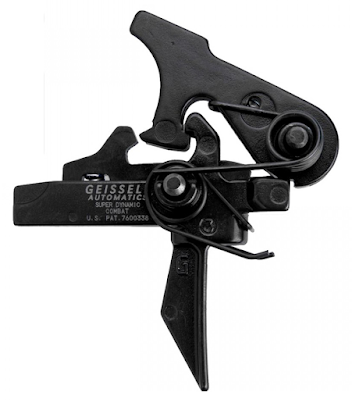 Geissele Super Dynamic-3 Gun (SD-3G) Trigger: Developed to combine the Super Select-Fire (SSF) combat trigger’s match-grade, semi-automatic performance with its smooth, single-stage, full-automatic feel, the SD-3G is a semi-automatic-only derivative of the two-stage SSF combat trigger. Its fast, smooth, and robust trigger is ideal for 3-Gun competition shooting. Additionally, its super-short trigger pull and short reset mean that rounds can be sent downrange as quickly as possible while still maintaining excellent accuracy. 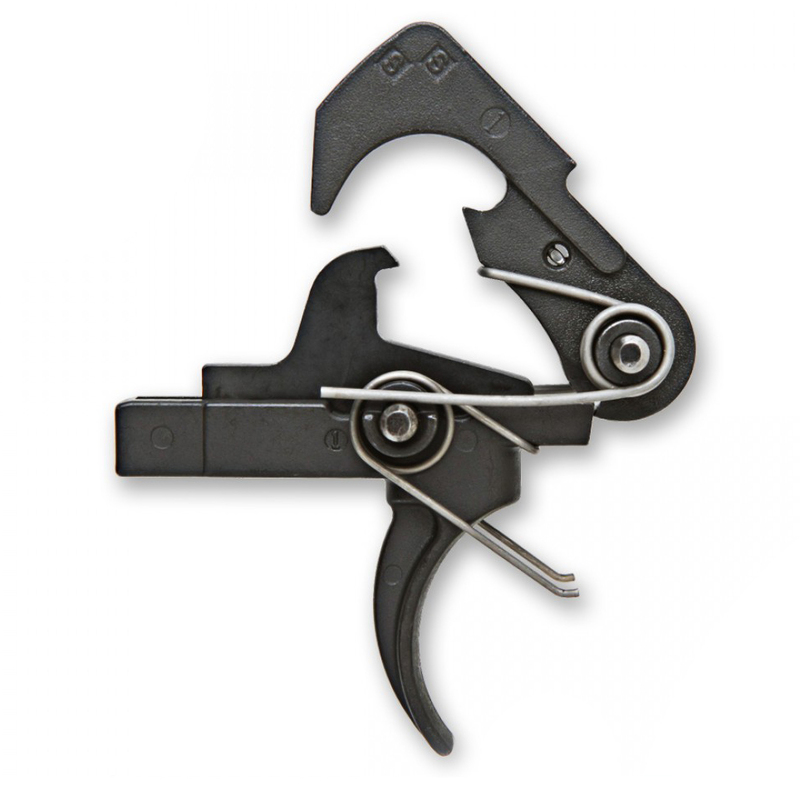 The SD-3G’s total pull weight is 3.25 or 4 pounds, depending on spring, and its pin size is Mil-Spec. 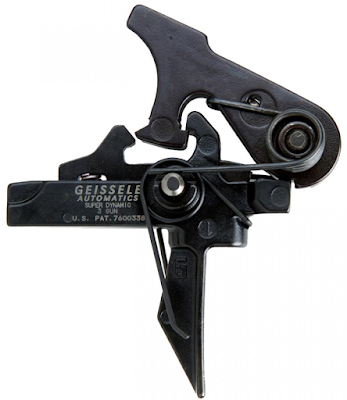 Get more information on Geissele Super Dynamic Triggers at GideonTactical.com. With a velocity of 1110 feet per second at the muzzle, the Hornady Critical Duty 9MM ammunition offers the most consistent and reliable urban-barrier performance created specifically for tactical professionals. Read on for more information on this advanced, modern handgun ammunition. The FlexLock® bullet features two revolutionary Hornday features: the unique Flex Tip® design, which eliminates clogging and aids bullet expansion, and the heavy-duty InterLock® band, which locks the jacket and core from separating; this allows for maximum weight retention and proven terminal performance through all FBI test barriers. Its core is comprised of high-antimony lead, which drastically increases its durability, and its nickel-plated cases resist corrosion and greatly enhance low-light chamber checks. Get more information on the Hornady Critical Duty 9MM ammunition at GideonTactical.com. Durable, versatile, and easy-to-operate, the Streamlight Super Siege Work Lantern is equipped with one shock-resistant, white C4® LED, four red C4® LEDs, and unbreakable polycarbonate lenses. Excellent for outdoor use, its recessed power button prevents accidental actuation and makes it easy to cycle through the lantern’s various lighting modes. The lantern’s base diameter is 3.8 inches, and its height measures 7.5 inches. Additionally, its incorporated hook allows the lantern to hang on horizontal edges. Get more information on the Streamlight Super Siege Work Lantern at GideonTactical.com.